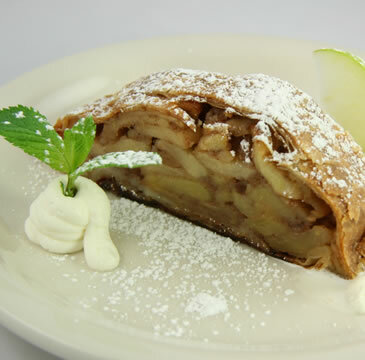 The excellent apple strudel was Tyrolean-style, made with puff pastry in lieu of Viennese-style strudel dough. 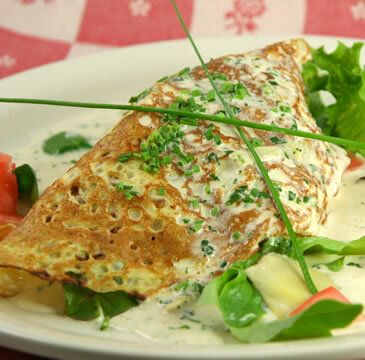 Pancakes of all sorts have long been a mainstay of Austrian home cooking. At The Watch Factory they turn up in the most delicate form imaginable, a paper-thin crêpe enfolding a luscious mélange of shrimp and artichoke hearts.